In doing business, cheques play a big role in sorting financial obligations. Cheques are either given to be cashed immediately at the bank or paid into an account. 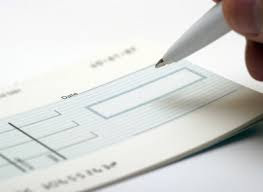 Cheques can also be post-dated cheques, which cannot be exchanged for cash until a certain future date. It’s the custom of high risk business persons to sign a cheque for a future date with the intention of funding their accounts before the date in order for the cheque to clear. However, in the past, some shady persons issue cheques knowing there was no money in their account and having received a service or good in return will suddenly become untraceable. Such an act is however against the law as anyone who gives out a dishonoured cheque will be committing a crime and be liable to punishment by the court. The Dishonoured Cheques (Offences) Act provides that anyone who obtains anything capable of being stolen or obtains credit by means of a cheque, which when presented for payment not later than six months after the date of the cheque, is dishonoured on the ground that the account had insufficient funds shall be guilty of an offence and in the case of an individual be liable to imprisonment for 2 years; and if it’s a corporate body shall be liable to a fine not less than N5,000 (Five Thousand Naira). However, if the person can show that he reasonably thought the cheque will be honoured, he shall not be found guilty. The proper court to sue such a person will however be the High Court of the State where the act occurred. Thus, it is very important to note when doing business that issuing dishonoured cheques comes with a price. What Is The Role Of Lawyers?